« Rock up to the tour in a Limoscene limo! Of course, we couldn’t pass the chance to celebrate this craze – so we’ve explored the World Wide Web to find our favourite promposals to date. The question is; will you be taking inspiration from any of these quirky gestures for your next prom? A room full of bright coloured balloons and that must-have prom poster is guaranteed to win over the ladies now isn’t it? There’s something about bright colours and balloons that create excitement and a feeling of romance. It’s fair to say we love this idea! 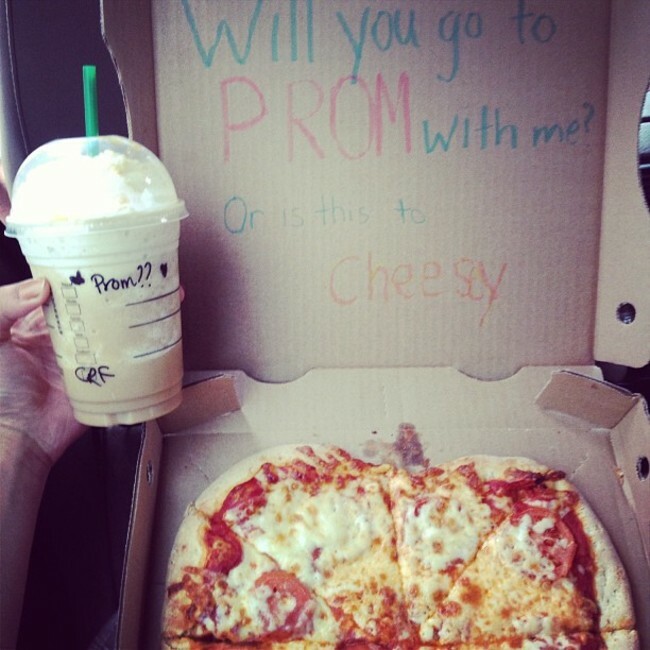 We do love a good pun here at Limo Scene and Wedding Cars so this pizza promposal did give us a bit of a giggle! Plus, with this gesture, you and your date get to share a pizza– so it’s win win really isn’t it! Because we love puns so much, we had to squeeze another one in. Who hasn’t heard the line ‘You’ve been running through my mind’ before? 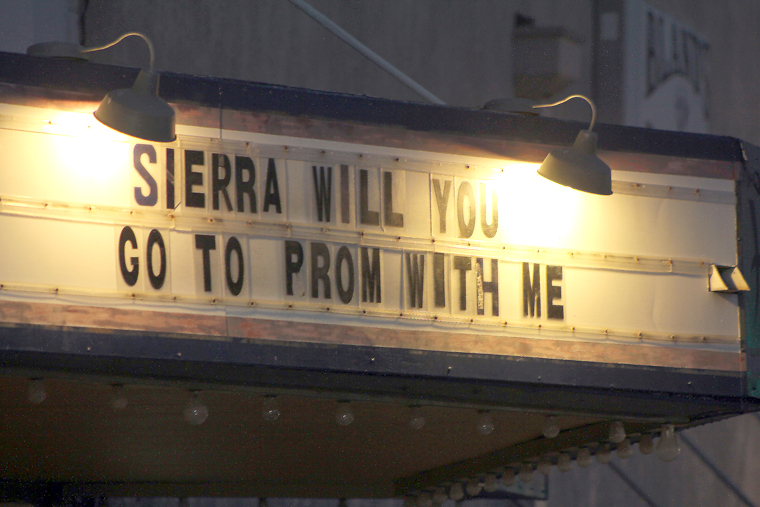 It has to be one of the cheesiest chat up lines so we love the fact that this prom-goer played on this popular line. Anyway, who could say no after receiving a pair of new kicks from their date-to-be? 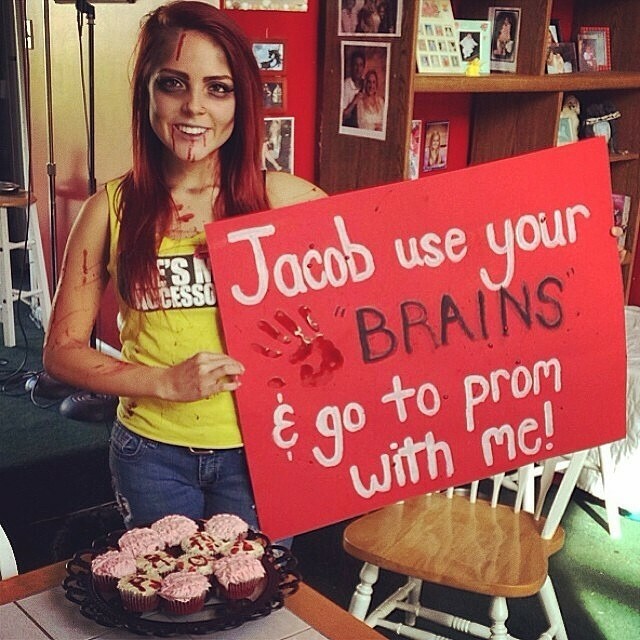 Getting dressed up as a zombie really shows your dedication to win over your prom date! We’re not sure this was the most attractive move but we love the girl’s enthusiasm, humour and creativity. Plus, it’s bang on trend with the zombie horror craze taking over our screens at the moment! Ah, the grand gesture. Our top five wouldn’t be complete without that public proposal and this theatre promposal certainly caught a lot of people’s attention. Once you’ve secured your prom date, all you need to worry about is having the time of your life at prom. At Limo Scene and Wedding Cars we can help you to do just that by kick starting your party with a stylish ride in one of our top of the range limos. You’ll be able to choose from our silver Hummerzine, white, black or pink Hummer, or our black or white Chrysler, all of which are kitted out with lasers, neon lighting and top of the range sound systems.